A round-up of good eats and dining news from Singapore in November 2018. 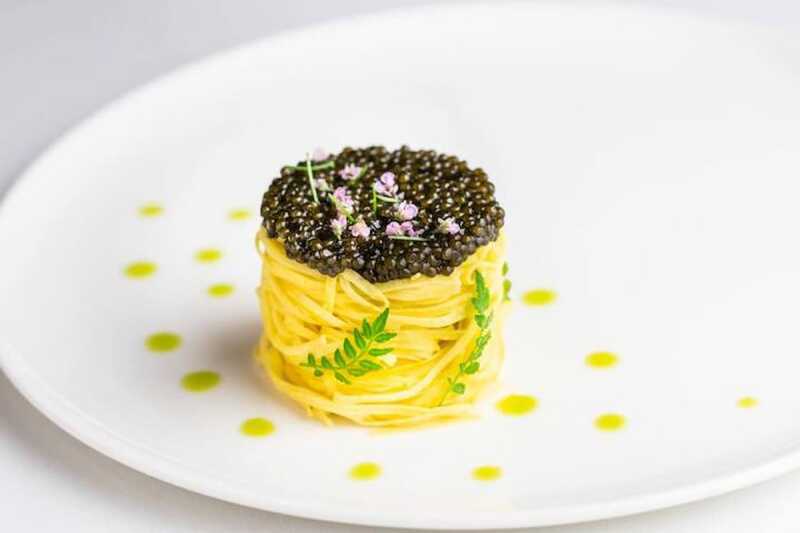 This month's round-up of good eats across the island includes where to go for a spicy, hearty brunch, a promising new contemporary Chinese restaurant in Marina Bay Sands, and artful Italian creations at Beppe De Vito's newly rebranded restaurant. 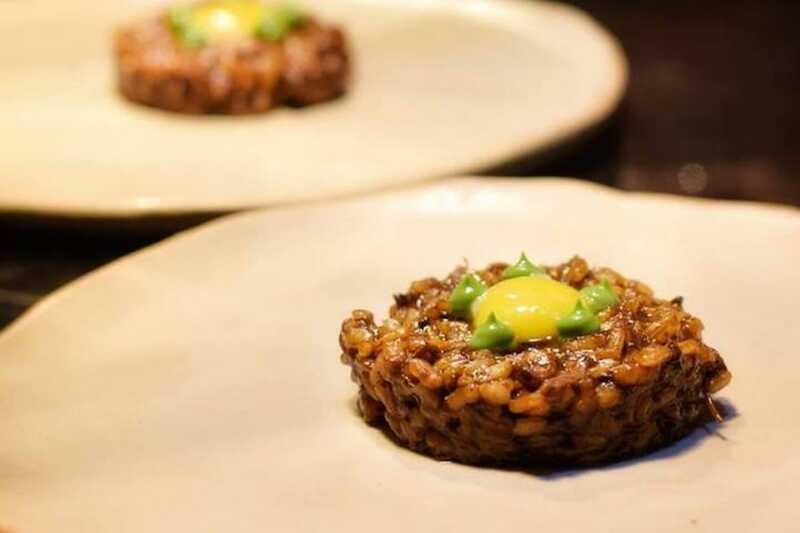 After a two-year stint as head chef of one-Michelin-starred Iggy’s, Spanish-Australian Aitor Jeronimo Orive is now fronting his 40-seat restaurant, Basque Kitchen By Aitor in Amoy Street. Orive has deep links with the gastronomic region in northern Spain — his family is from Basque Country and he has also cut his teeth in the world-renowned innovative restaurant Mugaritz. Located in a two-storey shophouse along Duxton Road, Restaurant JAG is the new classic French fine-dining restaurant helmed by Jeremy Gillon, formerly from Le Montana in the Alps where he was executive chef of three of the hotel’s restaurants, leading Restaurant L'Epicurien to one Michelin star in 2015. Gillon's produce-driven cuisine focuses on sustainability and quality expressed in a variety of degustation menus and creative cocktails. From the indigenous herbs sourced from the Savoie Mountains in France, to the custom Kimura glassware from Japan, every detail is an homage to producers and artisans all over the world. A highlight to look out for are the white-gloved Gueridons serving cheese and other courses from a polished trolley – a classic fine dining luxury. 76 Duxton Road. 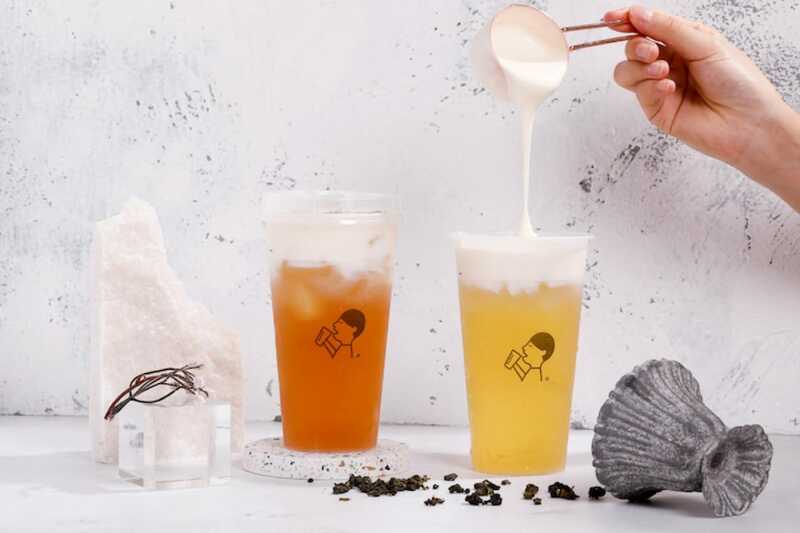 November 10 marks the highly-anticipated opening of Chinese bubble tea chain HEYTEA at Singapore's ION Orchard mall. HEYTEA has over 100 stores in China with a cult following willing to brave the long lines and wait up to seven hours for their cuppa. The brand is the original creator of the cheese tea trend where iced tea is topped with a head of creamy, savoury cheese froth. HEYTEA also prides itself for using high quality ingredients for its crafted beverages, including premium tea leaves, fresh fruits, natural rock sugar and cheese from New Zealand. To celebrate the brand's first foray overseas, buy one cup and get another free (Limited to one redemption per receipt) for the first three days from November 10 to 12. 2 Orchard Turn, #B4-29 ION Orchard Mall. Here’s where to go for brunch with a punch. Halcyon & Crane, an all-day café and bar in The Paragon offers a fresh take on modern European cuisine with a Sichuan influence. Brunch staples like Eggs Benedict get the mala treatment with moreish spicy gongbao chicken, sous-vide eggs and melty cheddar cheese in the King’s Chicken Hash Benedict, while spicy Sichuan cured sausages add extra depth to good old Shakshuka. And it’s not all spice and fancy fusion brunch food. 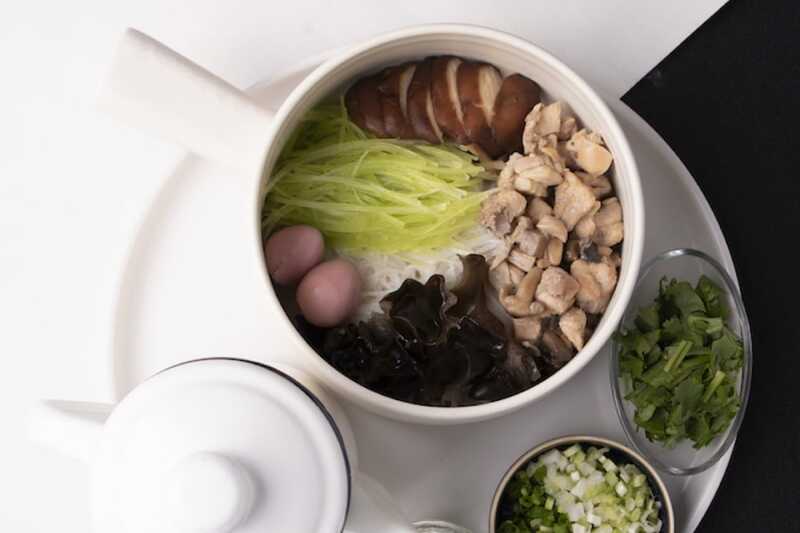 The highlights of the All-Day Dining menu are comforting noodle dishes like the Chicken And Mushroom Capellini featuring a silky vermicelli specially imported from Sichuan bathed in a nourishing chicken and mushroom broth. The Clam And Yam Noodles are a tasty take on pasta with slippery, chewy yam noodles in a rich tomato-based sauce with distinctively Asian flavours of ginger, garlic and Sichuan spices. Pastels, light-wood and rose-gold finishes make the décor decidedly soft and pretty, but the food pulls no punches in the flavour department. 290 Orchard Road, The Paragon #03-09. Young Scottish chef Seumas Smith breathes new life into underground cool Maggie Joan’s at the back of Gemmil Lane. 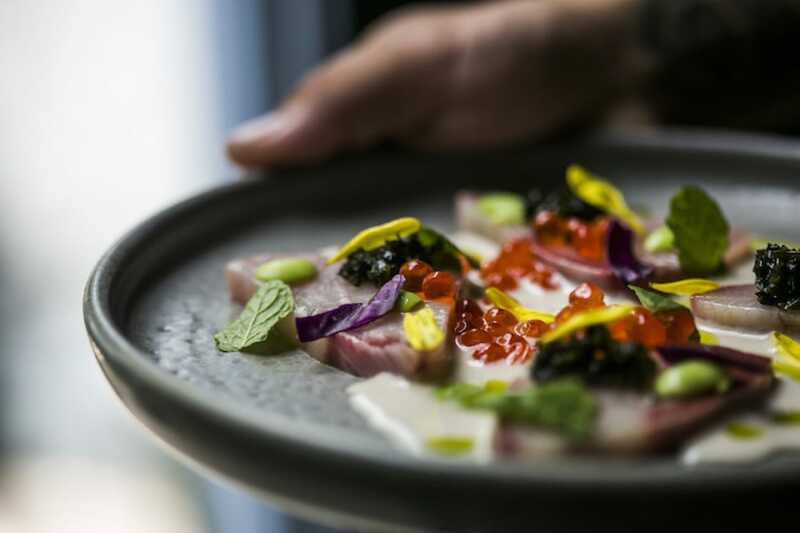 Snacks and starters are colourful and energetic; the chef pulls in Japanese inflections in the shiso leaf tempura dotted with a creamy Greek mezze-inspired sauce made with garlicky mentaiko, and hamachi crudo topped with salmon roe, pickled wakame and edamame. Ingredients from the chef’s hometown also feature on the menu: burnt Scottish Heather honey dresses an earthy beetroot salad and adds a touch of sweetness to the brown butter sauce for slices of perfectly pink duck breast while briny mussels from the Scottish coast accompany local barramundi in an herbed fish stock. Smith’s lively, fresh take on contemporary European cuisine is a juxtaposition to the rustic, industrial interiors. 110 Amoy Street #01-01. It’s a daring chef that leaves his menu in the hands of his guests. Upon reservation (and with preferably a day or two advanced notice) at the Hilton Singapore’s rooftop Italian restaurant, diners are invited to suggest a particular ingredient, drink, dish or even a special memory and leave it to chef Yohhei Sasaki to exercise his creativity in an omakase menu. The chef fuses Japanese flair with classic Italian cooking utilising what’s fresh and seasonal, whether it’s ayu fish or Hokkaido uni from Japan or scampi and octopus from Italy. 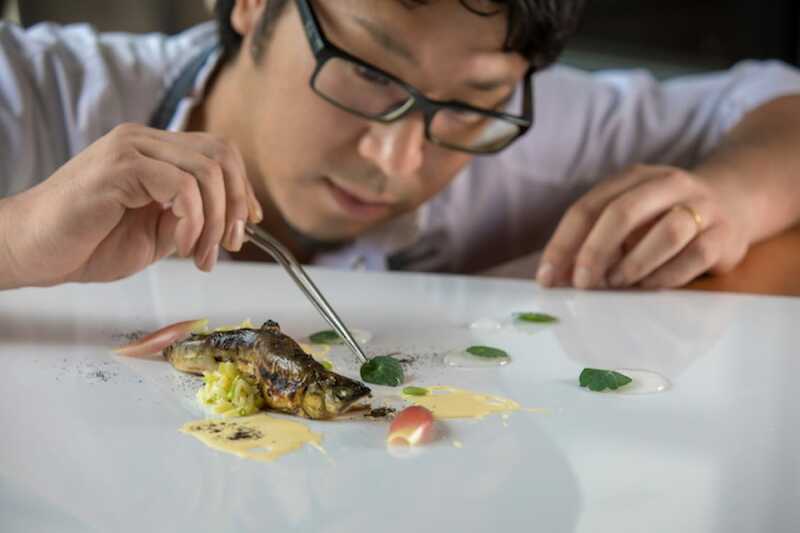 Sasaki displays an artfulness in his creations exemplified by a starter of Hokkaido sanma fish with Kyoto eggplant bagna cauda and smoked burrata cheese sauce. 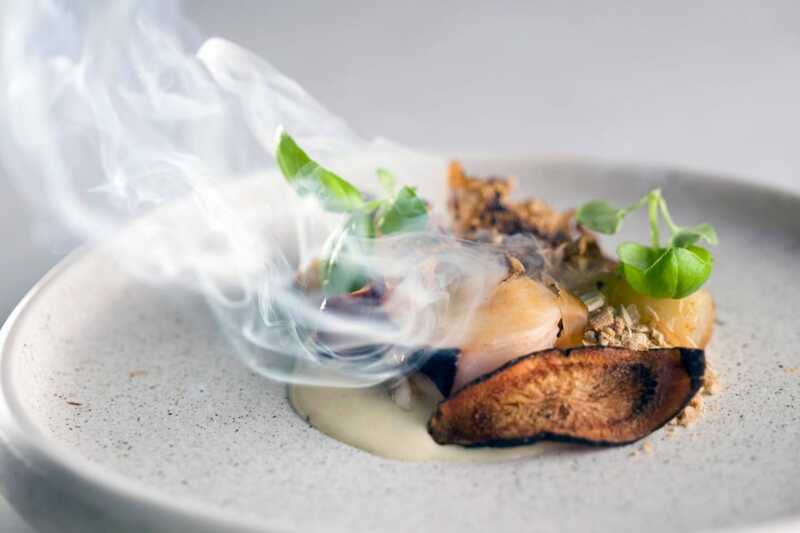 The smokiness of the dish is evocative of bonfires in fall, a fitting tribute to his most recent Autumnal omakase menu. 581 Orchard Road, Level 24 Hilton Singapore. Bars in hotels are shedding their cookie-cutter image in a recent slate of revamps. One of them is the Axis Bar at the Mandarin Oriental Singapore, which has been rejuvenated as the MO Bar after a two-month renovation. Embark on a nomadic seafaring journey in the Polynesian-themed bar with 14 cocktails inspired by ports across Asia such as Fiji and Hong Kong. Beneath the rustic Polynesian tattoo-like wood carvings in the 60-seat bar, sip on drinks such as The Roaring City ($24). 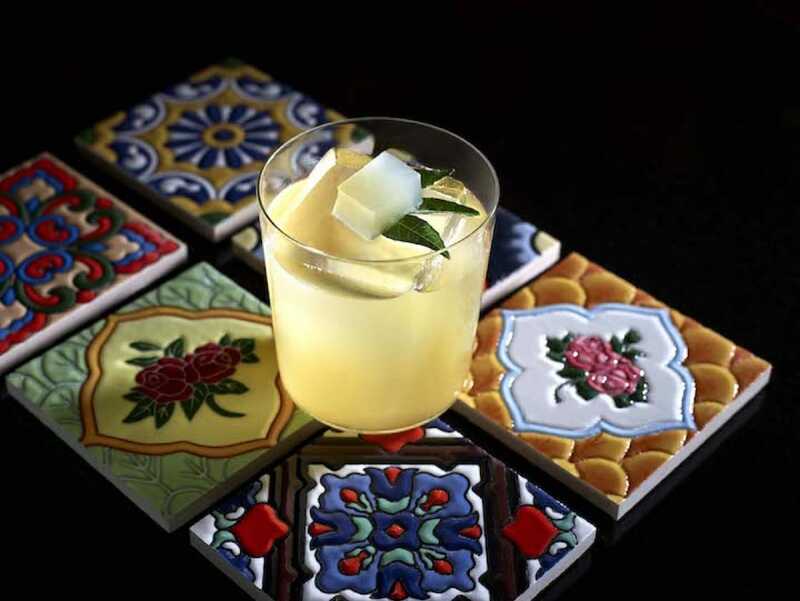 The citrusy concoction, which is inspired by sunny Singapore, bursts with fizzy lemony notes from the sparkling pineapple tapache and vermouth jelly. After a three-month hiatus, the owners of Jin Shan Lou have overhauled the contemporary Chinese restaurant in the Marina Bay Sands Hotel lobby to Blossom. The 188-seat restaurant now mainly serves Cantonese cuisine with a sprinkling of Sichuan dishes cooked by veteran Hong Kong chef Fok Kai Yee, who used to work at Summer Pavilion and Lei Garden. Gone are the lantern-shaped booths and in their place is a more muted and wood-heavy interior. 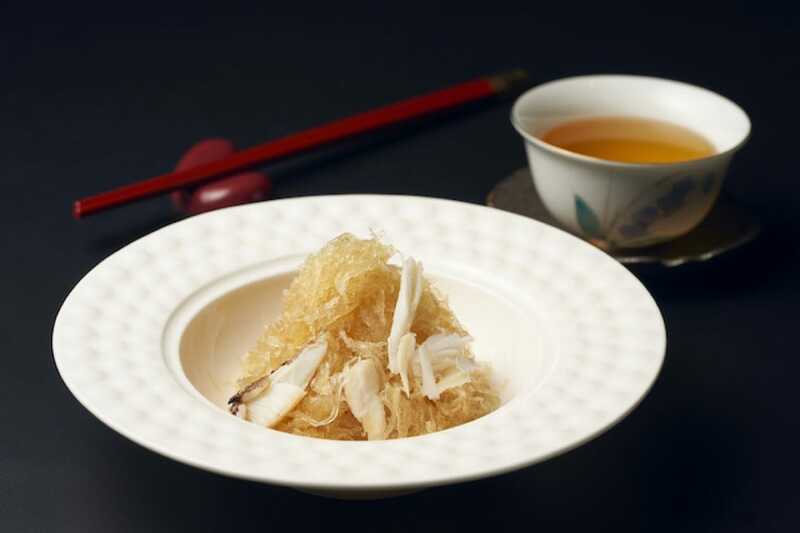 On the revamped menu, what catches the eye is the Stir-Fried Birds’ Nest And Crab Meat ($88 a person). The wok hei-infused translucent strands of wild Indonesian birds’ nest are still crunchy and slightly sweet after they are tossed in a superior stock that has been brewed for eight hours. Fok soaked the birds’ nest three times in order to achieve the right texture that can withstand the high heat in the wok. You can take home not just a slice of Singapore, but also yummy souvenirs from all corners of the world at the spanking new airport retail complex. The culinary director of the famed New York gourmet burger chain doesn’t rule out making laksa burgers and durian milkshakes for its debut Singapore outlet. The MICHELIN Guide Digital susses out some eye-catching restaurant designs in the mall before the crowd descends.